Founded in 1992, Ezra Holdings Limited (the "Company", and together with its subsidiaries, "Ezra" or the "Group") is a leading offshore contractor and provider of integrated offshore solutions which enjoys a unique position in the offshore oil and gas industry in that the Group offers solutions across a broad spectrum of the support supply chain, over the entire lifecycle of an oilfield. The wide range of services that Ezra offers includes subsea construction and maintenance, drilling support, towing and mooring, pipe and cable operations, high speed cargo and crew transportation. Under the EMAS branding, the Group operates globally with 16 offices spanning across the six continents. With our operational expertise as well as our fleet of young and sophisticated offshore vessels, we are able to support our clients' increasingly complex needs with effective, efficient and reliable service solutions in challenging environments around the world. Founded on a relentless commitment to quality and value, Ezra has built up a well-respected track record and a strong network of clients that include oil majors and national oil companies. Through the combined efforts of our four business divisions ? 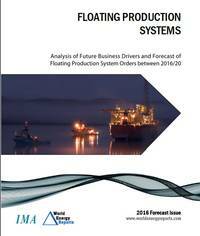 Subsea Services, Offshore Support Services, Production (through EOC Limited) and Marine Services ? 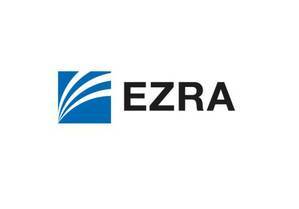 Ezra consistently strives to create value for our clients and stakeholders. MODEC Offshore Production Systems (Singapore) Pte Ltd. awarded Aker Solutions' wholly-owned subsidiary Aker Marine Contractors a mooring installation contract for hook-up of the Bourgogne FPSO offshore Angola. Contract value is approximately $30m. Keppel Corp. said Keppel Singmarine Pte Ltd. has won two shipbuilding contracts worth $155.6m, Thompson Financial reported. Keppel Singmarine will build a derrick pipelay vessel for Global Offshore International Ltd, a unit of U.S.-listed Global Industries Ltd.